A record net 37% of owners reported they are raising overall compensation in hopes of hiring and retaining employees in what is increasingly cited as the tightest labor market in decades, according to NFIB’s latest monthly jobs report. This surpasses the previous record of a net 35% in May 2018. The competition for qualified workers is pushing up compensation as there are currently 660,000 more job openings than job seekers. 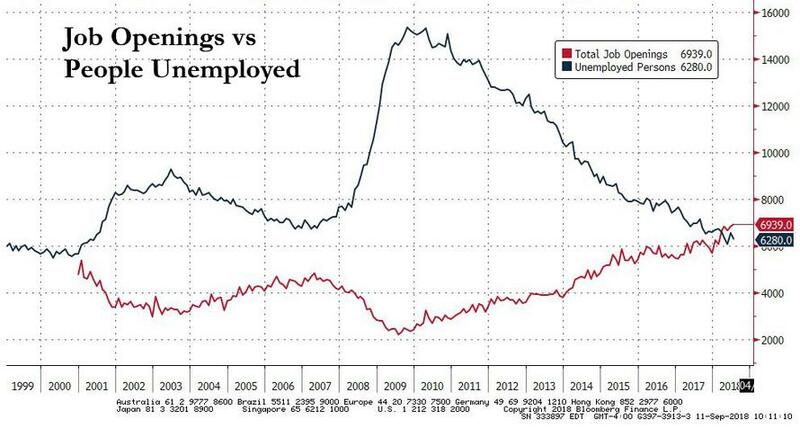 "There is extraordinary competition for workers in this historically tight labor market. 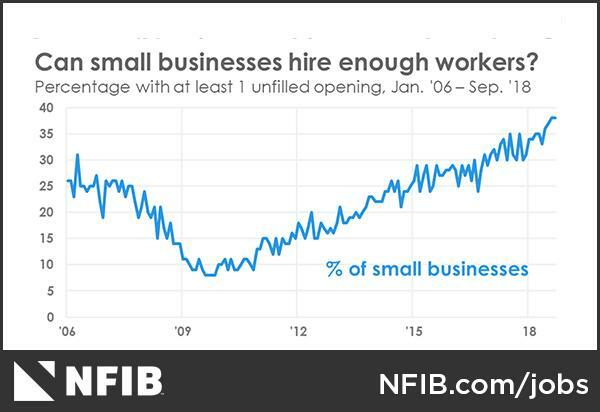 Small business owners are investing more in their employees to attract and keep qualified workers,” said NFIB President and CEO Juanita D. Duggan. "Thanks to the recent tax cuts and regulatory reform, owners are able and comfortable investing more in their employees and businesses which further strengthens the economy." According to the NFIB, the labor market is tight for both skilled and unskilled workers, with 36% reporting openings for skilled workers and 15% reporting openings for unskilled workers. Down three points from last month, 14% reported using temporary workers. A testament to the fiscally-stimulated economy, a seasonally-adjusted net 23% of owners are planning to create new jobs, down three points from last month. Twenty-four percent plan to increase total compensation at their firm and six percent plan reductions. Firms in construction (net 26%), wholesale trades (net 28% ), and manufacturing (net 34%), account for the strength in hiring plans. Meanwhile, job creation picked up in September, rising to a net addition of 0.15 workers per firm. A seasonally-adjusted 13 percent reported increasing employment an average of 4.6 workers per firm and 11% reported reducing employment an average of 1.9 workers per firm.